An “exhaustive” investigation of the silver market by the US Commodities Futures Trading Commission managed to miss serial acts of price manipulation in the gold, silver, platinum, and palladium futures contracts markets. John Edmonds, 36, of Brooklyn, a former JPMorgan precious-metals major bullion trader, admitted he engaged in a six-year ‘spoofing’ scheme from 2009 to 2015 that involved placing orders for precious metals futures contracts with the intent to cancel those orders before execution in order to manipulate prices. He recently plead guilty to commodities fraud, conspiracy to commit wire fraud, commodity price manipulation and spoofing and faces up to 30 years in prison, but is expected to get a lighter sentence. He said that he learned this practice from more senior traders and that his supervisors at the firm knew of his actions. The mainstream media ignored the Senate Judiciary Committee report that could have influenced the midterms elections in favor of Republicans. The investigation found ‘no evidence’ to back sexual assault claims against Supreme Court Justice Brett Kavanaugh, and two accusers, Julie Swetnick and Judy Munro-Leighton, were referred to the DOJ for making false statements. Munro-Leighton confessed that she made up the story that Kavanaugh raped her in a car because she was angry and wanted attention. The false accusations against Kavanaugh degraded the culture and based it in lies and the presumption of guilt. The Committee spoke with 45 individuals and took 25 written statements relating to the various allegations and failed to find a single witness who could provide any verifiable evidence to support any of the claims, including those made by Christine Blasey-Ford, against Kavanaugh. 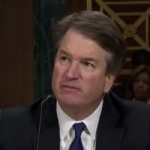 The committee also notes that a “large portion of individuals providing testimony in support of Justice Kavanaugh feared that their statements might result in professional retribution, personal physical harm, or even risk the safety and well-being of their families, and requested that their names be withheld. On Friday, the Senate Judiciary Committee released a 414-page document presenting its summary report and exhibits regarding the allegations of sexual misconduct against now-Supreme Court Justice Brett Kavanaugh. In the 28-page summary of its findings, the committee explained that after speaking with 45 individuals and taking 25 written statements, it did not find “any evidence to substantiate or corroborate any of the allegations” against Kavanaugh. The committee also notes that it has submitted multiple people to the Justice Department for review for “potential violations of Senate rules, potential witness tampering, and potential false statements made to the Committee in violation of federal law,” including Kavanaugh-accuser Julie Swetnick, lawyer Michael Avenatti, and Judy Munro-Leighton. The committee also notes that a “large portion of individuals providing testimony in support of Justice Kavanaugh asked that their names be redacted out of fear that their statements might result in personal or professional retribution or personal physical harm – or even risk the safety and well-being of their families and friends,” so the committee respected those requests for anonymity and redacted their names from documents. 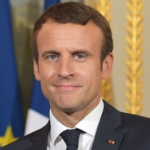 President Macron of France, now the ostensible leader of the EU since Merkel’s fall, is calling for a “true European army” to allow the EU defend itself from threats Russia, China and even Donald Trump in the US. Macron cited Trump’s announcement to quit a cold-war era disarmament treaty with Russia was as a threat to Europe. 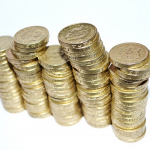 Europe is dependent on the US as Americans finance more than 22% of NATO’s budget. Mr Macron was speaking in Verdun, northeast France, as part of a week-long tour of battlefields leading up to First World War Armistice centenary commemorations on Sunday. NBC and the Fox News Channel both said on Monday, the day before the election, stopped airing President Trump’s campaign advertisement that includes footage of Luis Bracamontes, a twice-deported immigrant from Mexico sentenced to death in California for killing two police officers. Earlier, CNN had rejected the same ad, declaring it “racist.” Fox News, considered to be conservative, banned the President – will he be censored by Twitter next? First CNN refused to air the caravan ad and lectured Donald Trump Jr. after he took a swipe at CNN for refusing to show the real threats to the US. Fox News has now joined CNN after it caved to pressure. The ad focuses on the migrant caravan marching towards our border and features cop killer Luis Bracamontes, who was deported twice and snuck back in, murdered two police officers and was seen laughing in court about his crimes. 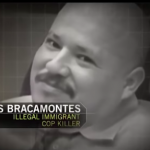 “The migrant caravan must be stopped,” the narrator of Trump’s caravan ad says after it shows cop-killer Luis Bracamontes lamenting he should have murdered more officers. President Trump wants to secure our borders and keep Americans safe–this is now considered “racist” by the left and mainstream media. President Trump also ran this stunning ad on NBC during Sunday night football and the left went ballistic. NBC caved and pulled the caravan ad as well. A $25 million comprehensive study on the effects of cellphone radiation on rats that spanned 19 years found clear evidence of tumors in the hearts of male rats and some links to tumors in the brains and adrenal glands of male rats. 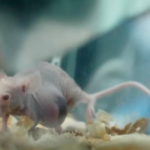 However, the Food and Drug Administration (FDA), which had requested the study in the first place, is casting doubt on the study’s conclusions claiming that the results on the rodents cannot be extrapolated to humans. David Carpenter, the Director for Health and Environment at the University of Albany in New York, said that many studies have shown increased risk of brain cancer (glioblastoma) in humans due to excessive cell phone use, and that animal models like mice and rats in experiments are common because it is very rare for a substance to cause cancer in an animal, but not in humans. If the FDA had accepted the results, the Federal Communications Commission would have had to update its regulations from the current standards that were set in 1996.